The romantic dinner for two is a staple of the dating scene and is arguable the simplest, most effective choice of first date. However, there is actually quite a lot that can go wrong, particularly when it comes to choosing the right restaurant. With so many great options available in Phuket, romantic tips like these can be the difference between a successful date and a disaster. The most important part of a dinner date is, of course, the food. It’s no good booking into a restaurant which is famous for its great pizzas and pasta, only to find that your date is lactose intolerant and can’t eat anything available. Ideally, you want to find a place which does shared starters and degustation menus. Each little morsel will provide you with something to talk about together. It’s also important to check the price range as nothing is more embarrassing than seeing the menu for the first time and realising you can’t afford any of it. Remember that a romantic restaurant needn’t be the most expensive one. It is far more romantic to remember your partner’s tastes and book something they’ll love. Another embarrassing situation on a date is to have the perfect place lined up, only to discover that they’re already fully booked. In Phuket, romantic tips like these are especially relevant as the places with the best views are often packed every night. Some newer restaurants don’t take bookings, and they should certainly be avoided when choosing a venue for your date as the chances of disappointment are very high. Naturally, it’s hard to gauge how good the service of a particular restaurant will be without having been there before, making this one of the tougher Phuket romantic tips to apply. However, there are enough online review sites to give you a general idea. Key features and comments to look out for include past customers not needing to ask three times to get a drink refilled, but also feeling smothered as constant interruptions can utterly ruin a date. A good bottle of wine (or two) can really help a dinner date, but they also make getting home safely a problem. Relying on public transport is not a great back-up, particularly in Phuket where there is very little of it. 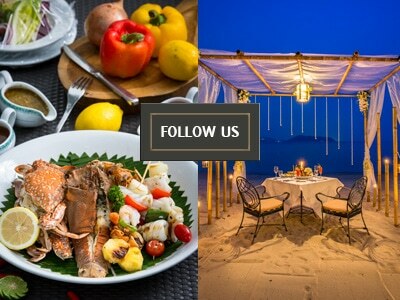 Also, if you’re paying attention to these Phuket romantic tips, you will probably have found a nice restaurant off the beaten path, well away from the normal bus routes. Fortunately, taxi booking apps like Grab are available and are very effective. The ability to designate your pick-up point means it doesn’t matter where your restaurant is – transport will still be available.